You’ve heard me say it before, but one of the best things you can do for yourself and your business is attend a live, in-person event. I call these “full-immersion” events, because you’re stepping away from everyday life and immersing yourself in the training. Personally, I’ve made it a point to attend at least one full-immersion event every quarter, and I’ve been doing it for years. You’ve heard me talk about scheduling before, and you have to put the MOST important things on the schedule first. Putting down the events you’ll attend, vacations you’ll take, and the other important things means they are a priority. Also, by choosing your events early, you’ll typically get the best pricing and ensure you get tickets before they sell out. Immersion events usually have a certain kind of person in attendance…. These are people just like YOU who are also committed to personal and professional development. Make sure that you come with a stack of business cards to give to these people! Also, be sure to bring a pen and paper so you can take notes. Attending the event is incredibly important, but the REALLY important part is doing the work after you leave. After I attend an event, I take time to process my notes. I go back through and look at things I wrote down and develop a plan. This plan will help me take the knowledge I just learned and apply it to my life and business. It isn’t enough to just learn the information, you must take action and apply it. Have YOU Picked Your 2017 Events Yet? 2016 was another rockin’ year. Don’t miss the opportunity to invest and grow in your business in 2017! This is my favorite event and I’m excited that it will be our 14th annual Summit. This year’s Summit will be at the MGM Grand in Las Vegas. 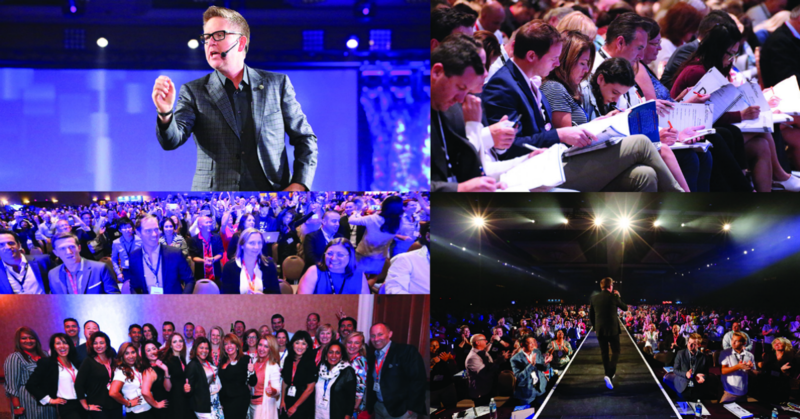 Over 6,000 top producing agents will be there, and we will have some amazing speakers at TomX. 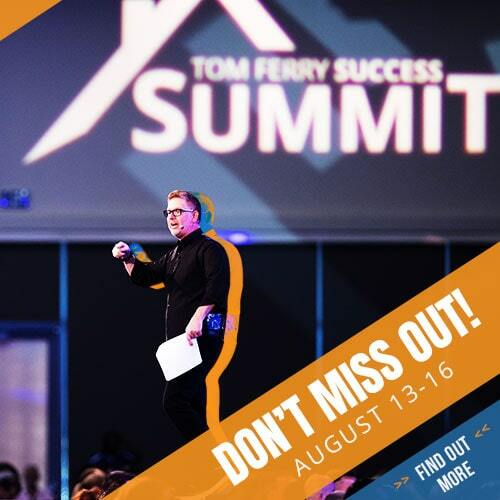 Learn all about Summit here! I created this event specifically to help agents like you create a business and life By Design. It will be in Brooklyn, New York, and you’ll learn how to create marketing and business plans to increase your success in business. Click here to learn about By Design. Hey leaders we have an event that is just for you and this year I’m doing one the east coast and the west coast! At Leadership Summit you’ll learn how to create a high-performance sales culture, best practices for talent acquisition, and boost agent production. Learn more about Leadership Summit here. 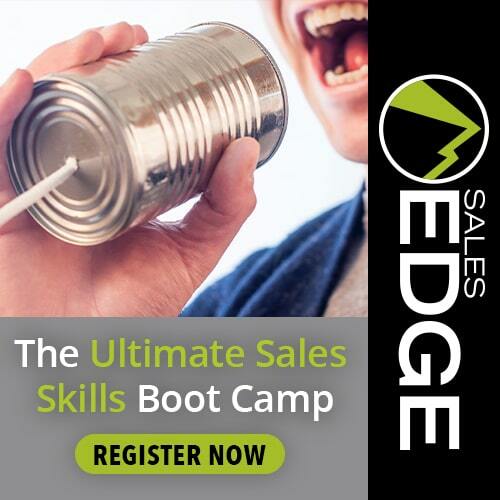 My friend and master trainer Bill Pipes leads this 3-day sales training workshop called Sales Edge. At this event you’ll get the scripts, sales skills and mindset to convert leads into appointments and appointments into sales with less stress. 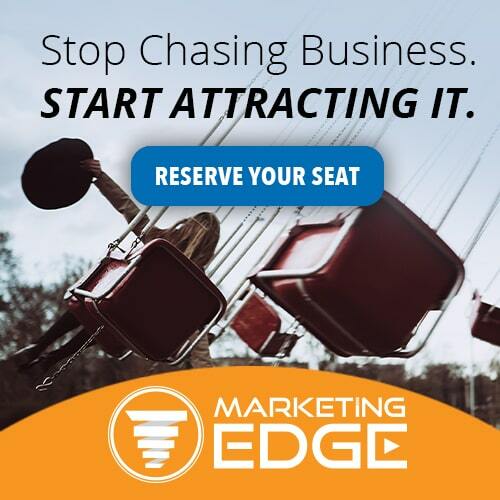 Find a Sales Edge near you! Friendly reminder that all of our Coaching Members receive exclusive discounted or free tickets to our events. 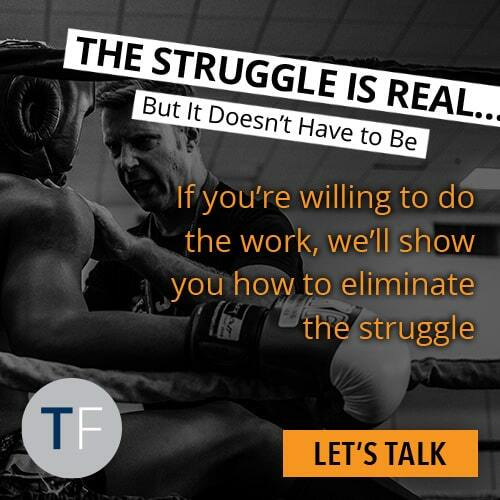 Click here to learn more about the Tom Ferry Coaching Program. Remember now more than ever your strategy matters, and your commitment to training & development absolutely rules!